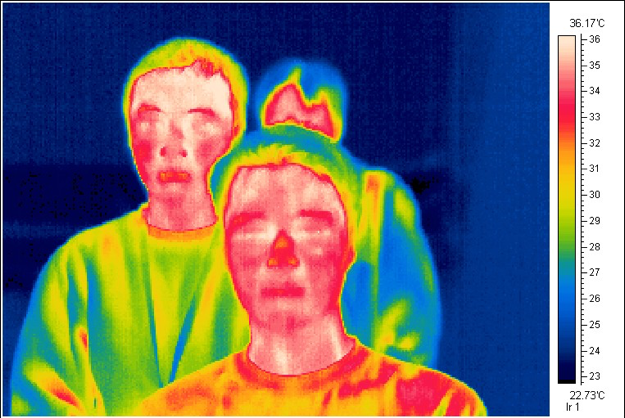 Blog How Do Thermal Cameras Protect Your Business? How Do Thermal Cameras Work To Protect Your Business From Loss Or Damage? Thermal cameras are the latest video analytics tool for protecting our client’s property. When installed eight to twelve feet off the ground the thermal cameras can capture indoor and outdoor images one-hundred fifty to three hundred feet away. When viewed by the verification center they are performing standard analytics by putting objects into a box based on size to determine people or vehicles, and weeding out clutter, such as a 4 legged animal. One of our latest members to join the Sonitrol Pacific family has property that shares a boundary with a large park. If you have seen the recent movie, ‘Leave No Trace’ it is no secret that there is a large community of people living within various local parks and trails. This member was having issues with thieves trespassing on their property and breaking into shipping containers after dark. It did not matter what they did, installed new cameras, put new locks on the containers, installed more motion detectors; the thieves would not leave them alone. These are all good measures, but they are considered passive security, which means they find out about the burglary after they fell victim. As a result, we solved the issue of passive security by installing a thermal camera system. Now anytime this thermal camera detects a body trespassing on their property, after the alarm is set, our verification center is notified immediately. Once our verification center has determined it is a human that does not belong, the police are dispatched immediately. This technology is one of many that Sonitrol Pacific uses to catch burglars, trespassers and vandals more than any of our competitors.